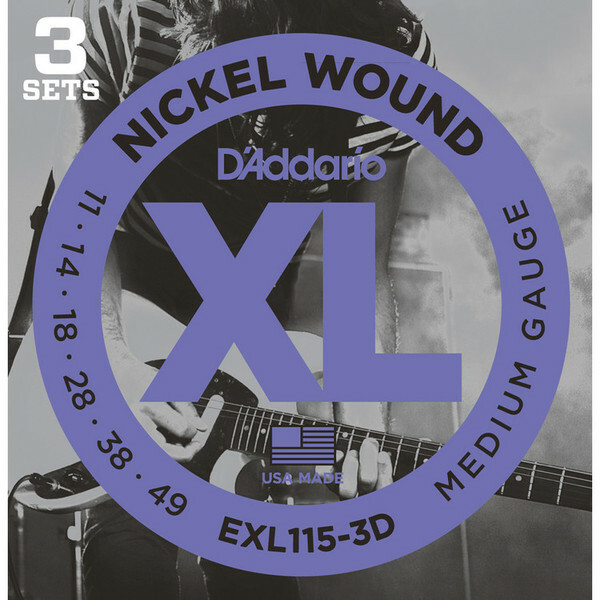 EXL115 is the popular choice for players who prefer moderate flexibility and a full, beefy tone. 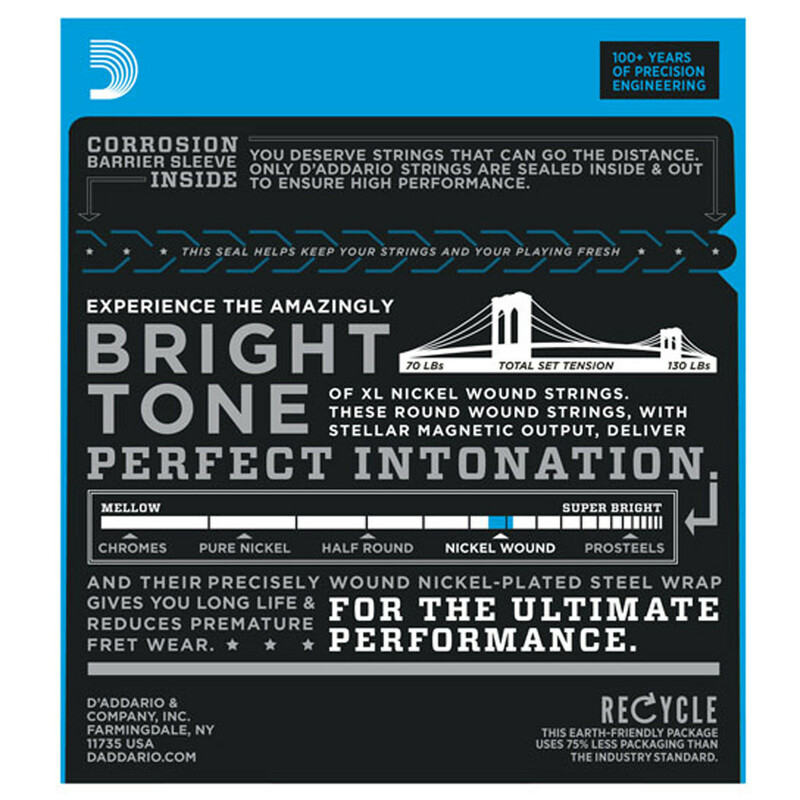 As used by Lenny Kravitz and Caleb Followill (Kings of Leon). 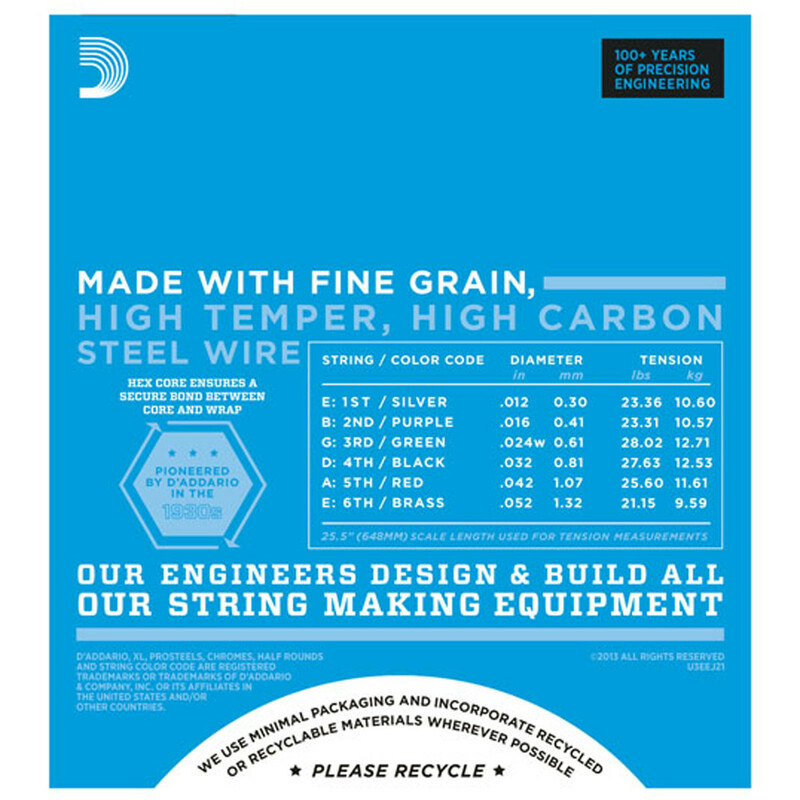 This pack contains three complete sets of strings.